Here’s something you don’t see every day: a boat builder recognised by Royalty! 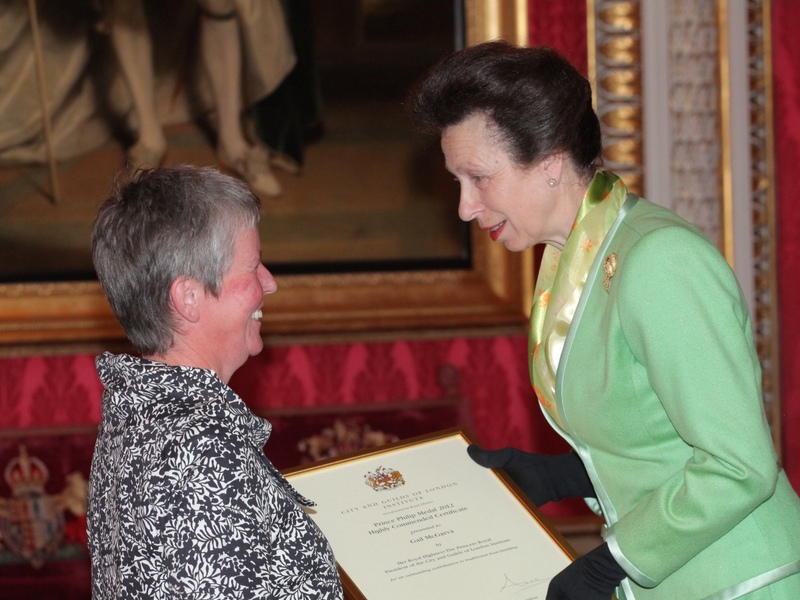 Lyme Regis boat builder Gail McGarva went to Buckingham Palace this week to collect an award from Princess Anne, The Princess Royal, on Tuesday this week. Gail received a ‘highly commended’ certificate for the Prince Philip Medal, an international award honouring those who have ‘travelled the City & Guilds path’ and achieved outstanding accomplishments in their chosen field. Following a successful career as a sign language interpreter, Gail enrolled on the Boat Building Academy’s 38-week course in 2004 wanting to change career. 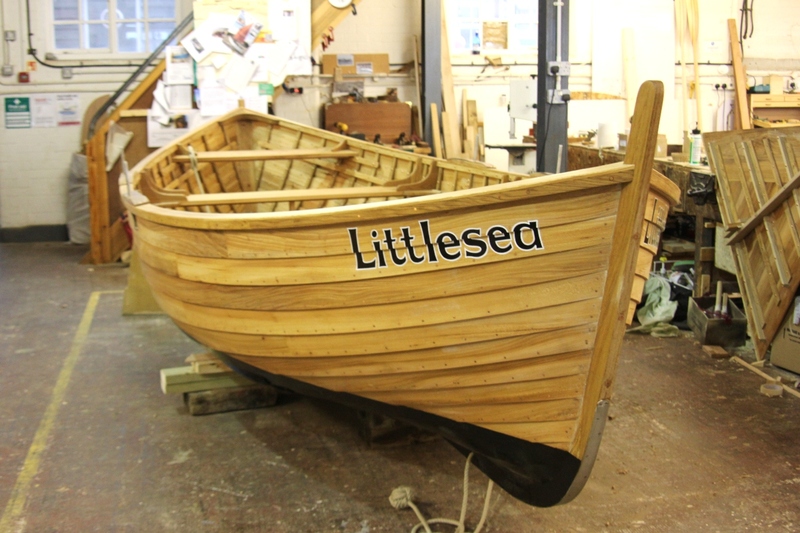 Funded by a City & Guilds bursary, she achieved City & Guilds levels 2 and 3 in boat building, maintenance and support, and began a long relationship with the Academy and Lyme Regis. After working as an instructor at the BBA she moved on to become an independent boat builder, but has not moved too far – as she now works in a workshop on the academy’s site at Lyme Regis. Gail is currently building a third racing gig for Lyme Regis Gig Club. 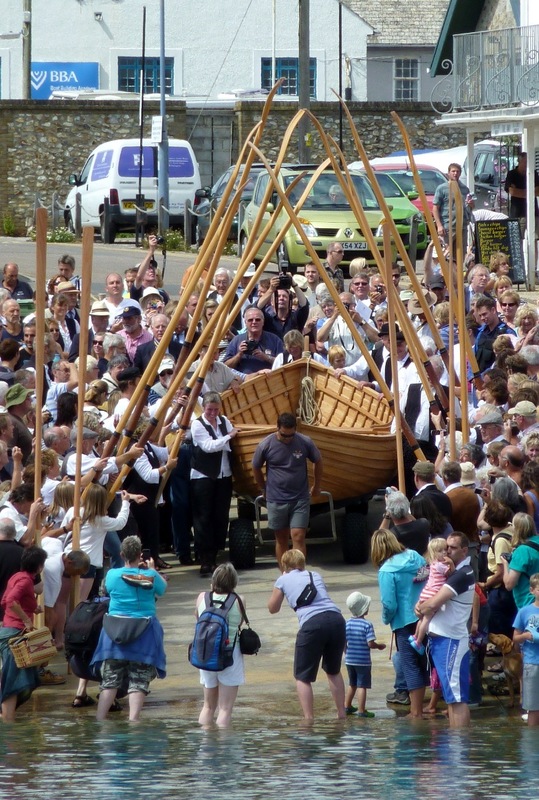 Lyme-based traditional boatbuilder Gail Mc Garva and Lyme Regis Museum have won Heritage Lottery funding for a new project designed to enable people to learn and participate in the maritime heritage of the Dorset coast by exploring and sharing the story of the ancient local clinker-built lerret. 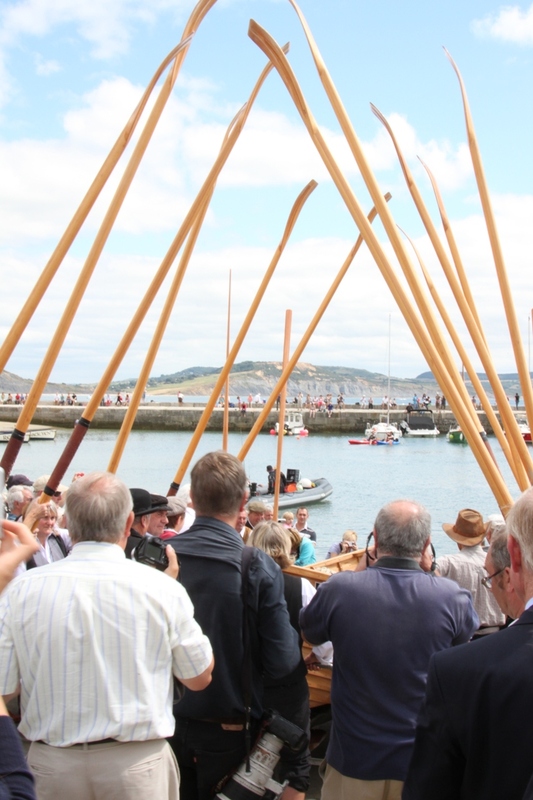 Titled Maritime Lyme and the Lerret, the project includes an oral history project that will collect, preserve and share stories connected with the traditional boats, and the material will be made accessible to the public online via a new website and in the form of a physical archive. Also, 2011 will see a touring exhibition of the living history of the lerret with related community events. At the heart of this exhibition will be two lerrets, Vera, built in 1923 and the new boat Littlesea built by Gail in 2010 with funding from the Queen Elizabeth Scholarship Trust. 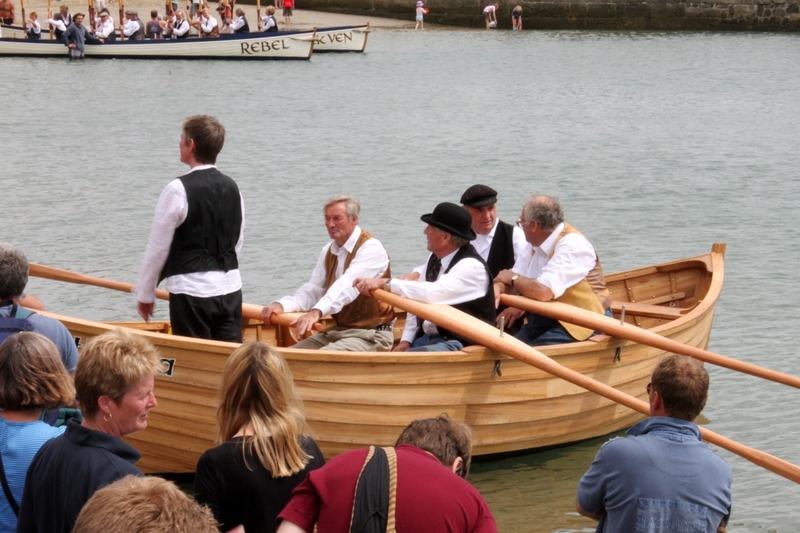 PS – I gather that Gail will be starting a project to build an impressive third rowing gig for Lyme in the autumn of next year.